Protecting your teeth is so important. As someone who had braces for years, I am very keen to keep my teeth in the best possible health and look after them as much as I can. 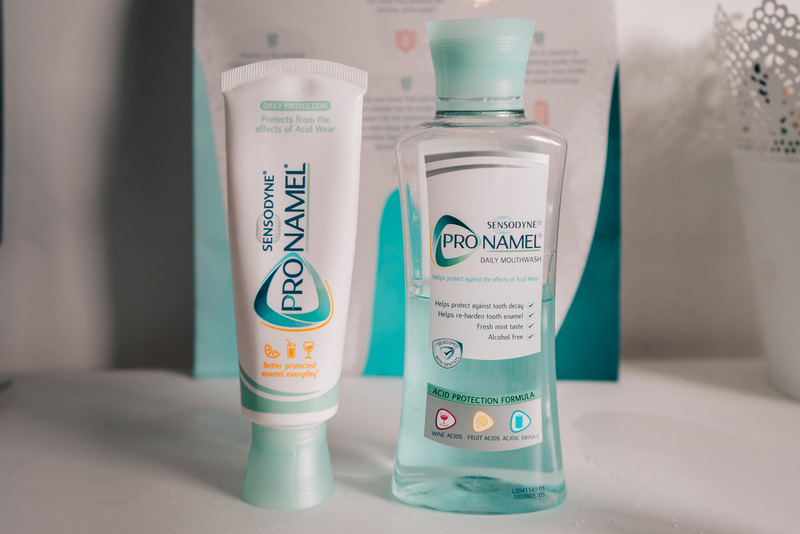 While how to protect your teeth isn’t a topic you often see on beauty blogs, oral hygiene is crucial to both looking and feeling good! Is there anything better than a beautiful smile? 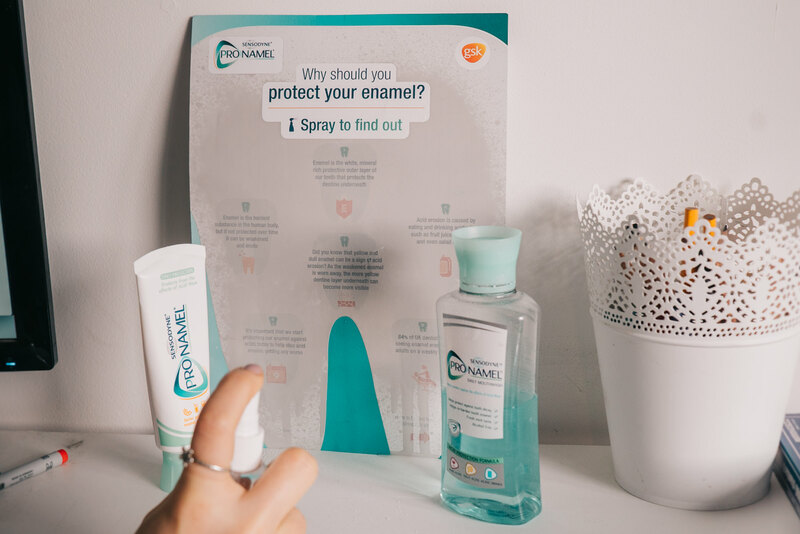 I love an interesting PR sample and sensodyne’s campaign was pretty unique. 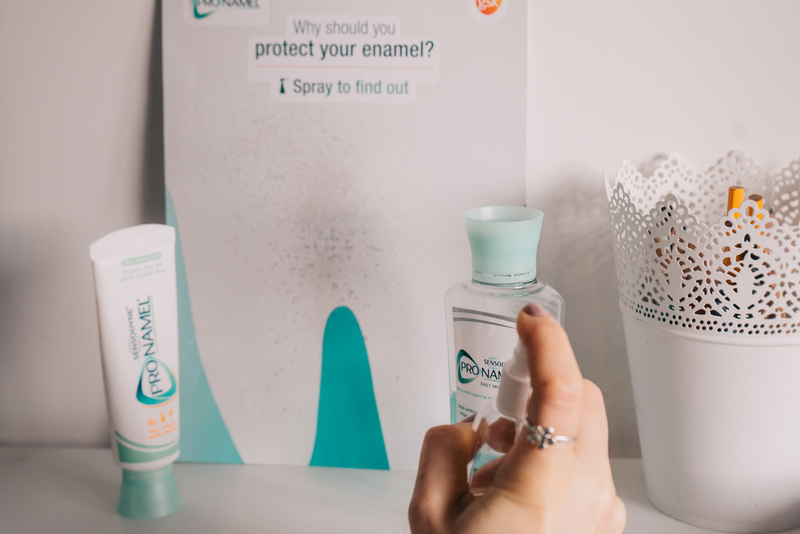 Spraying their giant tooth to display all of the enamel data – who knew dentistry facts could be so fun? Enamel is the white protective layer of the teeth. Enamel erosion is on the rise which can leave your teeth dull or yellowing. This pamphlet from sensodyne seems to blame healthy eating choices such as fruit and salad dressings – something I will not be reducing in my diet! No complaints about wine, sugar or sweets on their list…. Below are some helpful healthy teeth tips. To cancel out the acid try finishing meals with some cheese or milk. Sugar-free chewing gum after eating helps to produce more saliva to cancel out the formed acids. Fizzy drinks aren’t great but having them mealtimes or using a straw is better on your teeth. Reduce snacking, eat acidic items with meals. After eating or drinking something acidic wait an hour or more before brushing your teeth. In the mean time wash it out of your mouth with a drink of water. Brush your teeth with fluoride toothpaste last thing at night and once during the day. Fluoride toothpaste strengthens and re-hardens the tooth enamel. 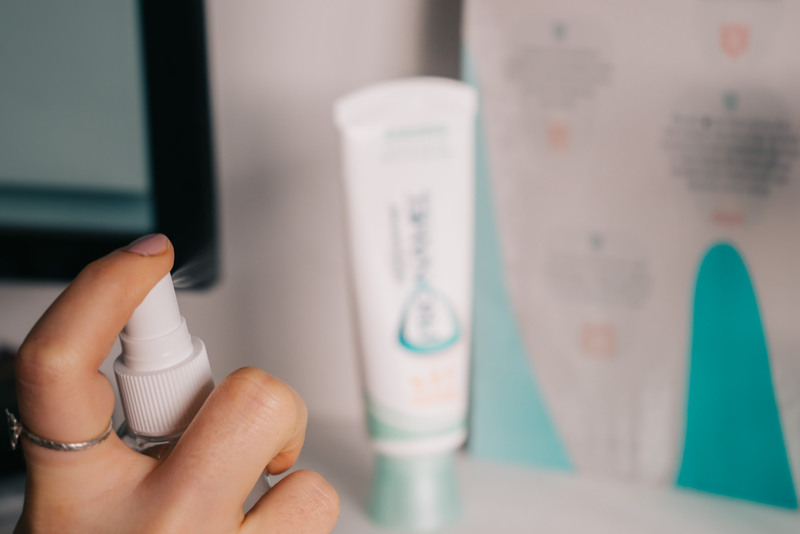 Hope this has given you a few tips for how to protect your teeth with just a few simple changes to your every day routine.